Union bed and breakfast travel guide for romantic, historic and adventure b&b's. 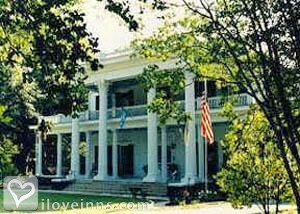 Browse through the iLoveInns.com database of Union, South Carolina bed and breakfasts and country inns to find detailed listings that include room rates, special deals and area activities. You can click on the 'check rates and availability' button to contact the innkeeper. Located in the northwestern portion of the state of South Carolina right on the outer edges of the Sumter National Forest is the town of Union. Formerly known as Unionville, both the town of Union and the county with the same name got its name form the old Union Church which is a stone's throw away from historic Monarch Mill. If it's history that you are interested in, Union should one of the places on the top of your travel list. Though undamaged by the Civil War because of the natural shield of the Broad River, Union has a unique history of its own and you can partake in the remembrance of the town's times gone by in an activity called the Boogaloo Folk Life Productions, a play presented by the locals depicting historical events that occurred in Union. To complete your visit, stay at any one of the Union bed and breakfast inns. By The Inn at Merridun.